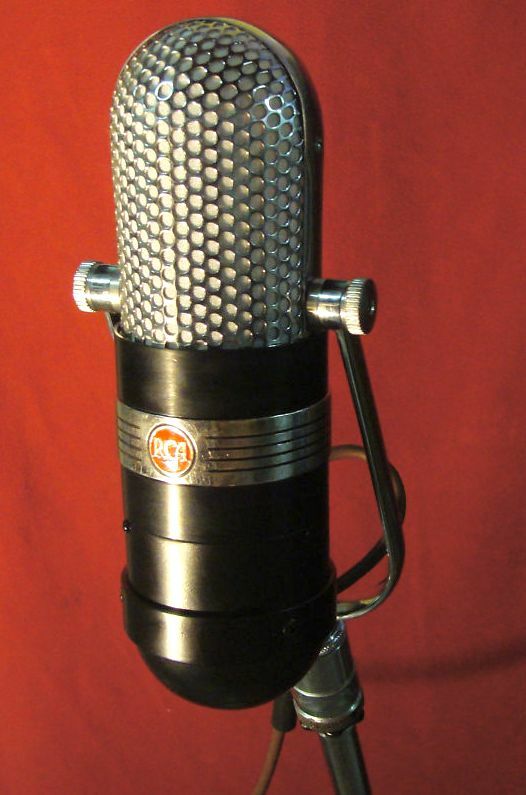 You surely recognize a classic Ribbon microphone when you see one; such as this pretty RCA 77C. They are the grandaddy mics that Elvis and the Carter family used to huddle around to make those timeless recordings. A ribbon mic is bi-directional and can be very handy in the studio today; as an overhead, room, guitar, percussion or dang! even a vocal mic. They are generally warm sounding and pack a bunch of low end, oftentimes too much low end. I regularly use Royer and Sontronic ribbons in the studio. I’ve also recently tried a Peluso, which sounded pretty neat. They all have their own colour. Today’s ribbon mics are more robust and can handle more spl than their cherished ancestors from the golden age of studio, which is why many great engineers use them on a guitar cab. I’ve been using ribbons quite a bit lately, especially on the Old Stereo record that I am currently working on. With this project, we’re going for vintage-y, dry sounding guitars & bass. I find the idea of the ribbon microphone very intimate, dark and romantic. I am also working on a track that will be completely recorded using Royer ribbons, (from the 101 to the sf-24 Valve.) Should be neat sounding.